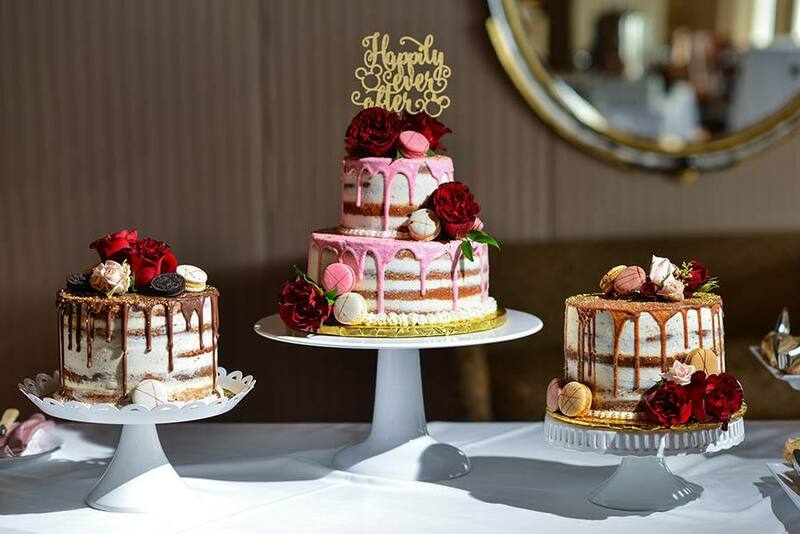 What's better than one cake? Two? How about three? 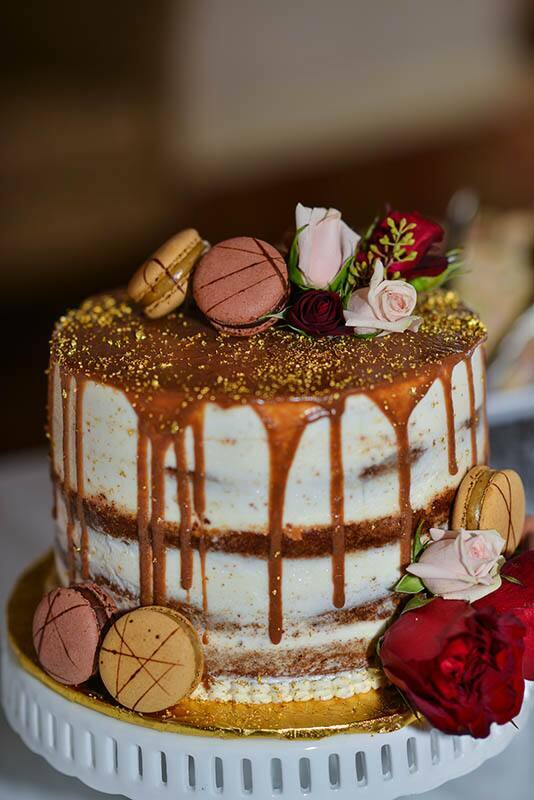 We cannot get enough of this Disney couple's trendy and mouthwatering wedding cake display. 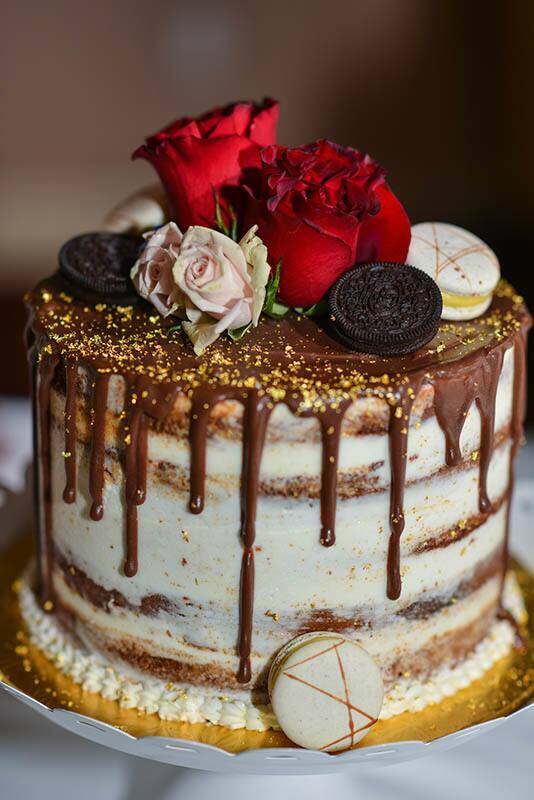 Each of the tiers embodies a romantic yet rustic design with its bare layers showing through as different flavored icing drips along the edges for contrast. 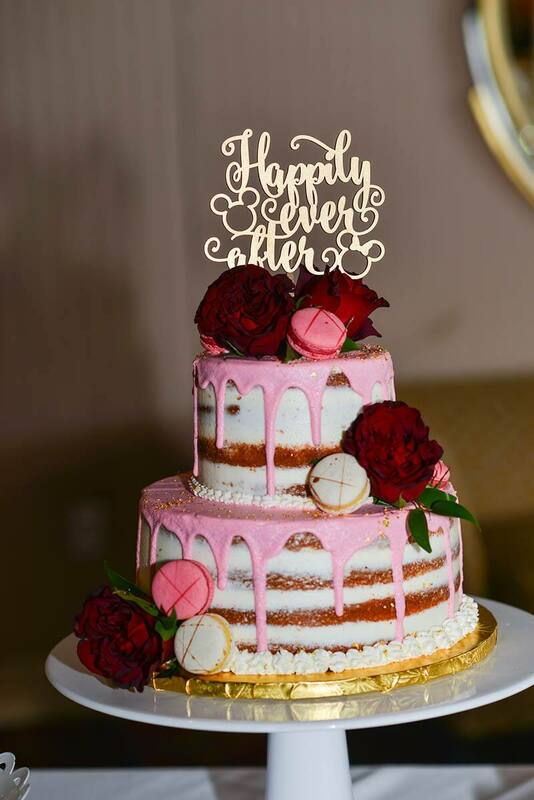 Piled delightfully on top are luscious roses and macarons, while the finishing touch is the "happily ever after" topper adding a bit of Disney to the elegant creation.